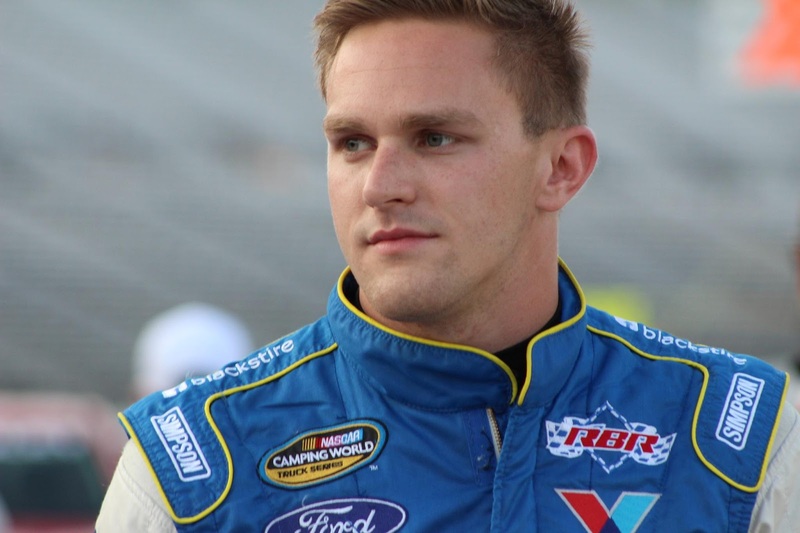 NBC Sports Network analyst Parker Kligerman is back in the driver’s seat in 2016, competing in the No. 92 Ford F-150 in the Camping World Truck Series for Ricky Benton Racing. Learn more about this versatile driver in this week’s Fast Facts, originally published in Oct. 2012. Parker Kligerman was born Aug. 8, 1990 in Westport, CT. Unlike many current drivers, his family had no background in auto racing, but that didn’t stop Kligerman from wanting to participate. He raced go-karts as a teen, and excelled at open-wheel racing while still in high school, racing in the USAC Midget Series in 2007. In 2008, he signed with Cunningham Motorsports and made his ARCA Racing Series debut at New Jersey Motorsports Park. For 2009, Kligerman drove full-time in the ARCA Series with Cunningham Motorsports as part of Team Penske’s driver development program. Kligerman won nine races that year, finished second in points by five points and won the Rookie of the Year award in the series. He also made his Nationwide (now Xfinity) Series debut with Team Penske at Kansas Speedway in Oct. 2009, winning the pole and finishing 16th. After a part-time season in the Nationwide Series in 2010, Kligerman moved to the Camping World Truck Series full-time with Brad Keselowski Racing, finishing 11th in points with eight top 10 finishes, including two runner-up finishes. After starting the 2012 season with BKR, Kligerman moved over to Red Horse Racing in August, winning his first Truck Series race in October at Talladega and finishing fifth in final points. For the 2013 season, Kligerman joined Kyle Busch Motorsports in the Nationwide Series, earning three top fives and a ninth-place finish in points. He made his Sprint Cup Series debut in November of that year with Swan Racing at Texas Motor Speedway, finishing 18th. Kligerman was hired to race full-time in the Cup Series with Swan Racing in 2014, but the team struggled on and off the track and was sold early in the season. Later in 2014, Kligerman signed on with NBCSN as an analyst, which he continues to do, and also tested an Indy Lights car for Schmidt Peterson Motorsports. He returned to the track in Sept. 2015 at Darlington in the Xfinity Series, and moved back to the Truck Series for 2016, picking up a third-place finish at Daytona. Find out more about Kligerman and RBR Enterprises on their Facebook page. Thanks for the story about Parker. Seems like a hard working driver and nice young man. Wishing him and his team the best of luck this season.